Home / check view exists sql server / How can I check if a View exists in a SQL Server Database? / How can I check if a View exists in a SQL Server Database? How can I check if a View exists in a SQL Server Database? 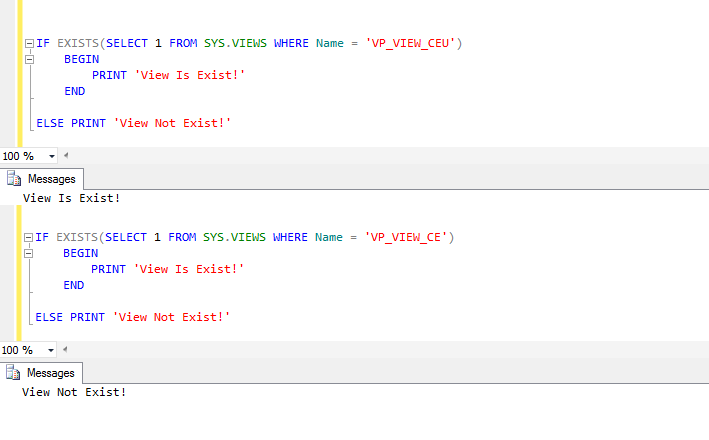 Hello everyone, I am going to share the code sample for check a View is exists or not in SQL Server. The different type of system objects are use to check SQL view is exists or not. For more detail, click below links.